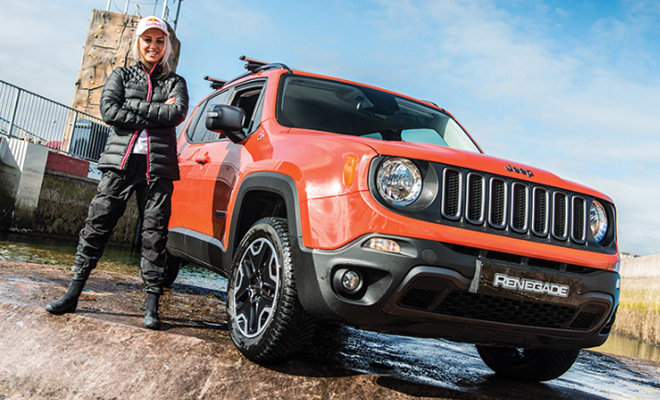 Professional snowboarder and Jeep® ambassador Aimee Fuller found out when she made a daring descent of an Olympic-standard white water rafting course in her Renegade. And she smashed it. "I'd never done anything like this before so when I arrived and saw the power and heard the noise of the water I was nervous," says Aimee. 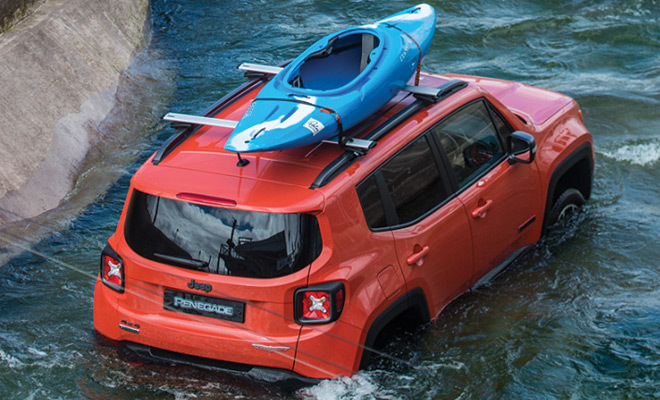 In what looks like the world’s first car/kayak hybrid, the Olympic snowboarder proves that Renegade really can go anywhere. 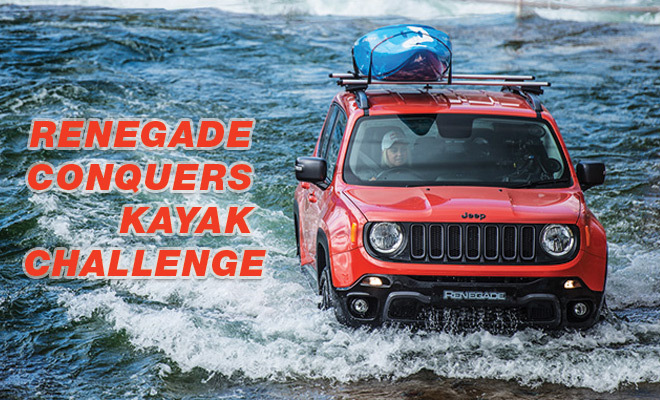 "Once I had driven into the course and got through the first few rapids the car felt great, really in control, and I started to relax and enjoy it.” “It's a pretty cool thing to say I was the first person ever to drive a car down a white water rafting course, not something you do every day." 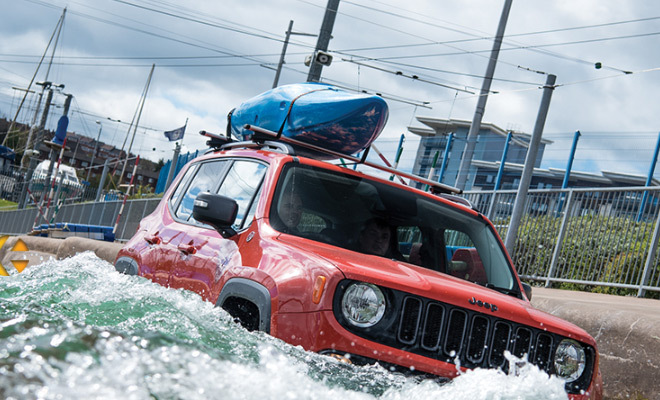 And in true Jeep® pioneering spirit, Aimee wasn’t content with just one attempt. 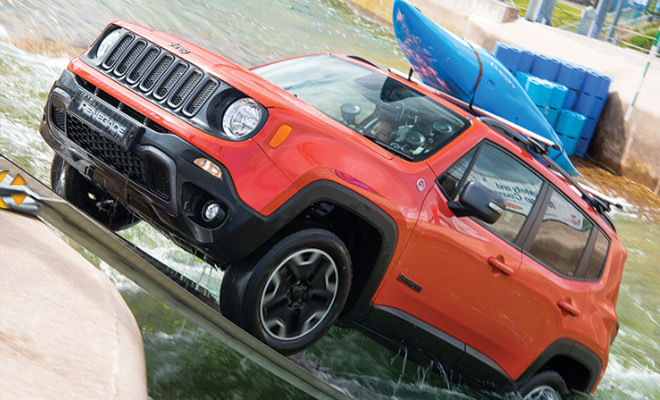 She met the challenge head-on and drove up the rapids too.